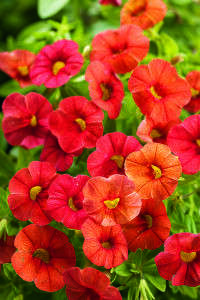 We are continuing to expand our selection of Proven Winners plants that we are growing. 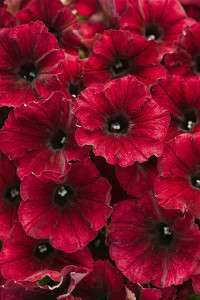 We make our selections of which Proven Winner plants to grow based on two criteria: flower color and popularity. 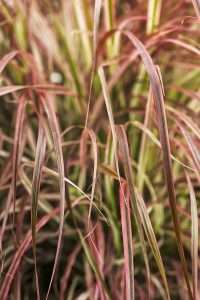 The plants and colors we have chosen are unique colors that are not readily available in other lines of plants and/or a popular selling plant in the PW line. Proven Winners plants are know for their distinctive plants and reliable performance. 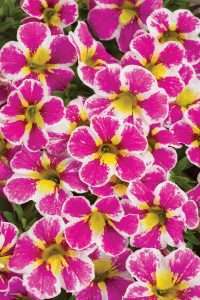 That’s because Proven Winners partners with the top plant breeders around the world to ensure their varieties are vigorous, healthy, vibrant, and unique. 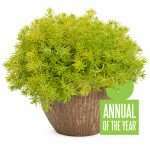 We are excited about the Proven Winners line of plants and hope that it is successful for you. As you probably are aware, Proven Winners is the #1 Plant Brand in America. 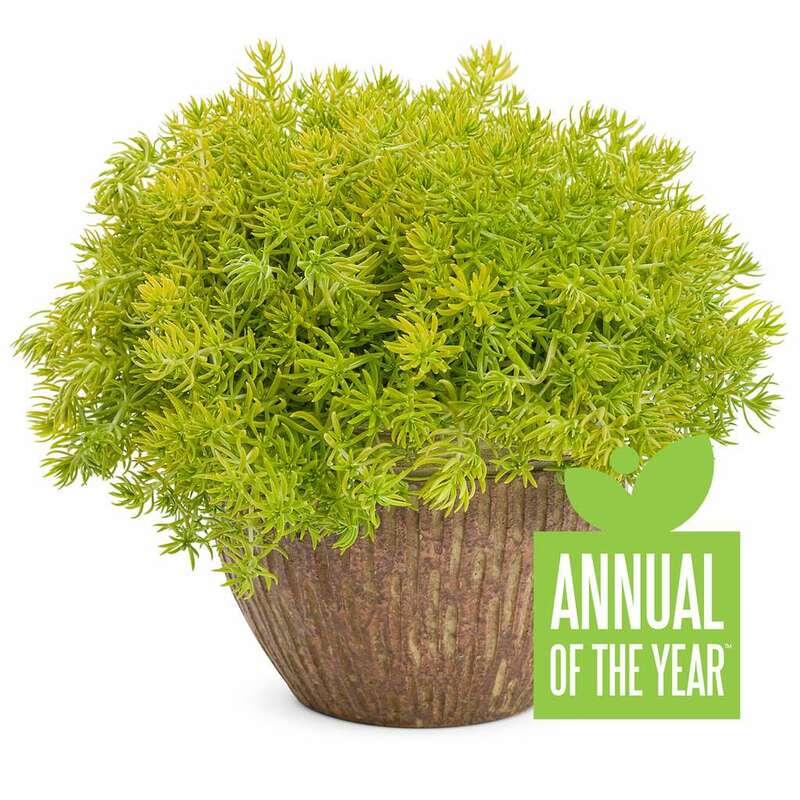 All of our Proven Winners plants are grown in the white PW pot and matching white tray to compliment the PW branding and POP which allows for garden center to create displays to drive sales. We hope that you like the plants we have added this year and welcome any suggestions for changes or further additions. 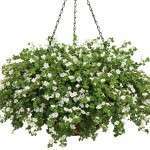 Bacopa Snowstorm Giant Snowflake – Giant Snowflake has larger blooms than standard Bacopa (sutera) varieties which produces an impressive display of large, white flowers. 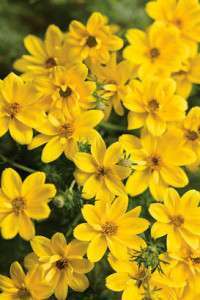 Goldilocks Rocks Bidens has bright, golden flowers that bloom on vigorous plants. Goldilocks Rocks loves the heat and is drought tolerant. 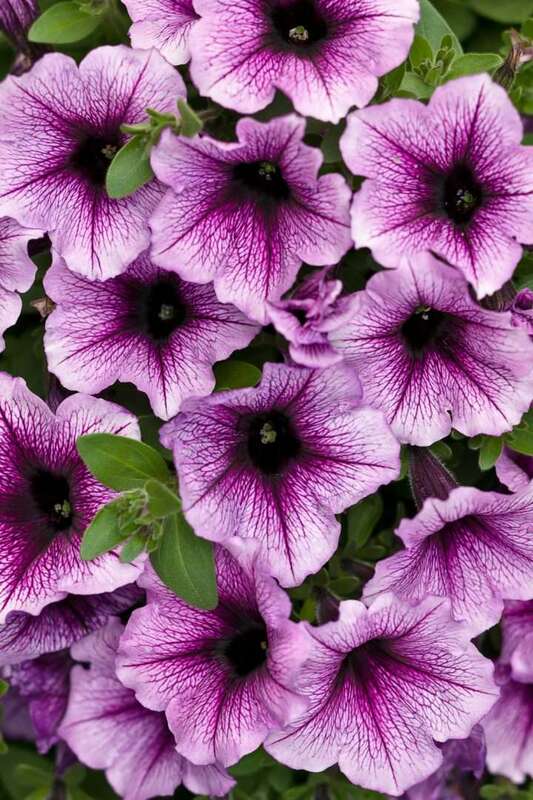 Superbells Calibrachoas are covered in hundreds of small, petunia-like flowers on compact plants that grow 6-12″ tall. 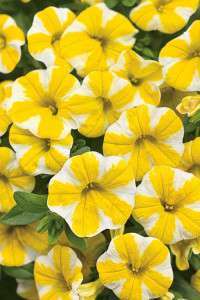 Superbells are disease resistant and are able to handle a wider range of temperatures and weather conditions than petunias. 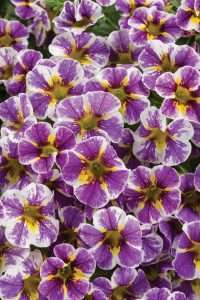 Bloom Moon Punch – Blooms are lavender-purple with darker purple centers. 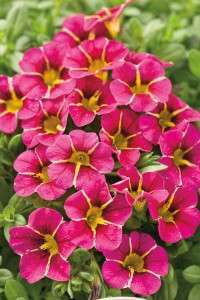 Cherry Star – Blooms are cherry red with a yellow star pattern. 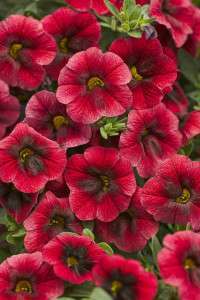 Double Ruby – Double blooms are a nice ruby red. Dreamsicle – Bloom are mostly orange with a some variation in shades of color. 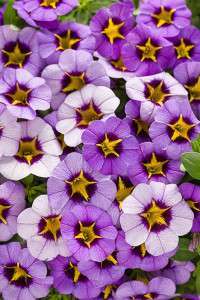 Evening Star – Blooms are lavender-purple with a yellow star pattern. Holy Cow! 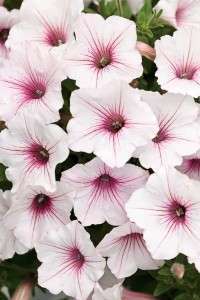 – Blooms have rosy-pink pinwheel patterns with white edges and yellow centers. Holy Moly! 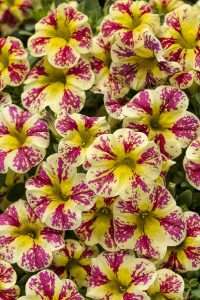 – Blooms have a splotched cherry-red pinwheel pattern with light yellow edges and a darker yellow center. Holy Smokes! – Blooms have purple splotched pinwheel patterns with white edges and a yellow centers. 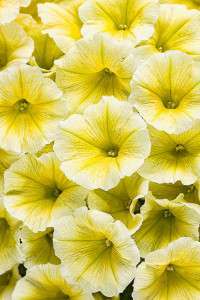 Lemon Slice – Bloom have a yellow and white pinwheel pattern. 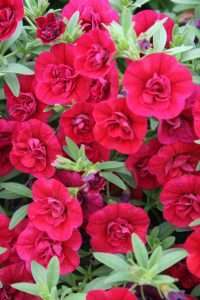 Pomegranate Punch – Blooms are a deep velvet red with dark throats. 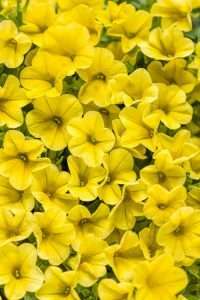 Yellow – Blooms are bright, sunny yellow. 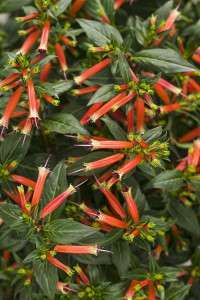 Vermillionaire Cuphea is heat and humidity tolerant. 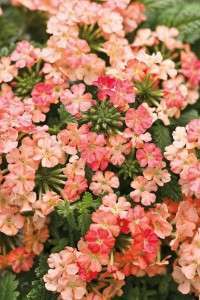 The narrow flowers are bright orange and will attract hummingbirds. This low maintenance plant will bloom from spring until the first frost. 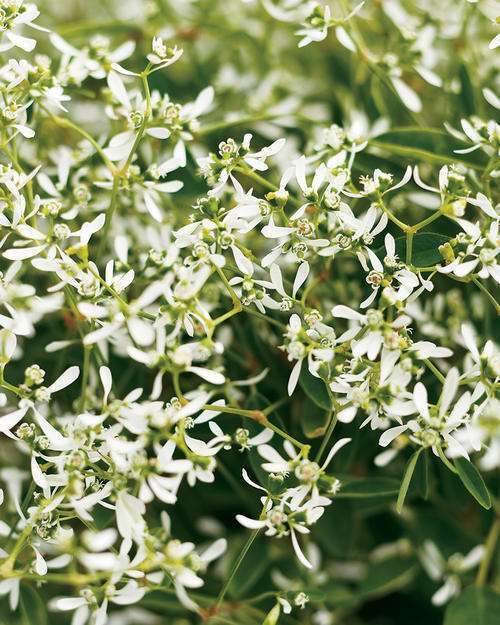 Diamond Frost Euphorbia blooms with an abundance of small, white flowers over a mounding plant. It is heat and drought tolerant. 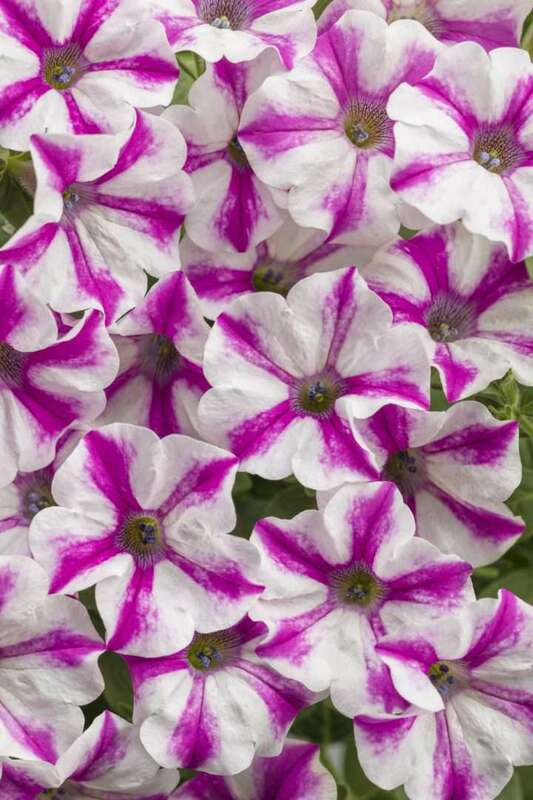 Diamond Frost thrives in the summer sun, but it does equally well in partial shade. 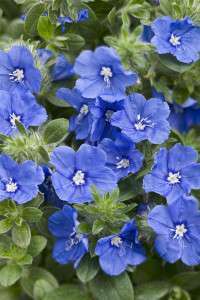 Blue My Mind Evolvulus is a great spreading/trailing plant that combines stunning blue flowers with heat and drought tolerance. Blue My Mind is a great plant of hanging baskets, containers and edges of beds. Grasses can add interesting texture to any landscape. 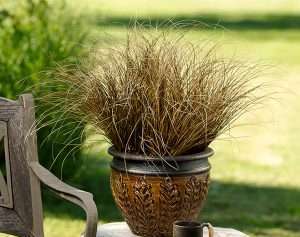 They come in a variety of colors and sizes to fit different applications from container gardening to xeriscapes. 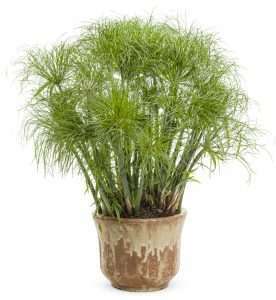 Cyperus Prince Tut – Large poms of fine leaves arch out from the ends of sturdy stems. 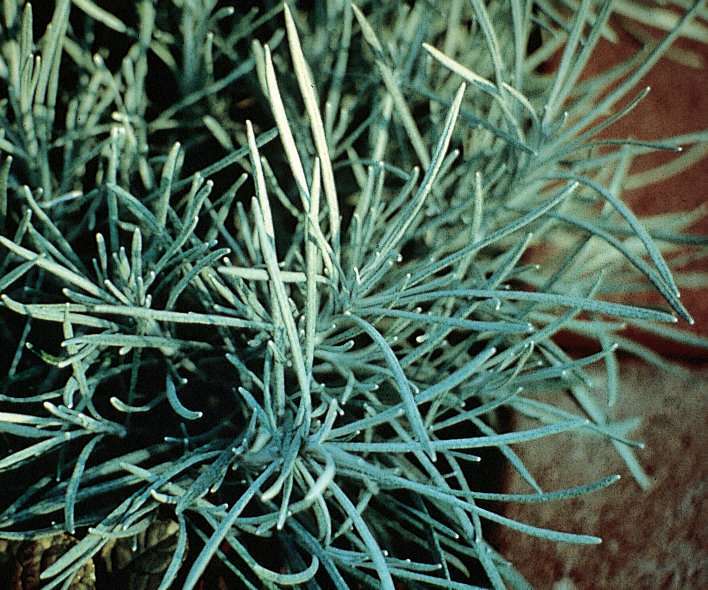 Helichrysum Icicles has needle-like leaves that are grayish green with traces of silver. 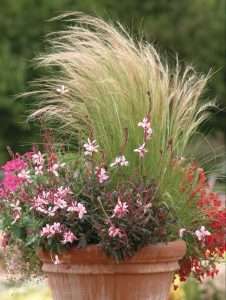 It has an upright, spreading habit that works well in containers as well as landscapes and rock gardens. 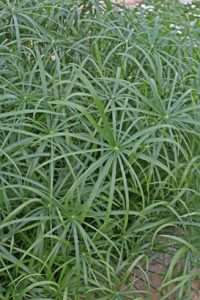 The foliage is the main attraction and there are no significant flowers or fruit. This is a low maintenance plant that deer tend to pass up for tastier treats. 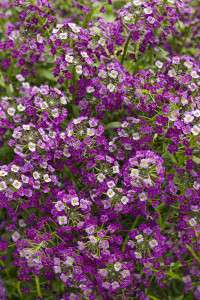 Lobularia are mounding and trailing plants that perform well in the heat. 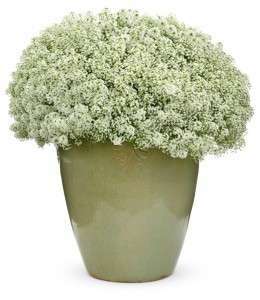 It is a close cousin of alyssum and shares its fragrant blooms. 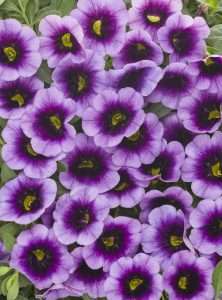 The lobularia blooms are self-pruning and since they have a lot of blooms on each plant, they tend to be a little messy in baskets and containers so keep that in mind when you use these beautiful lobularia in containers. 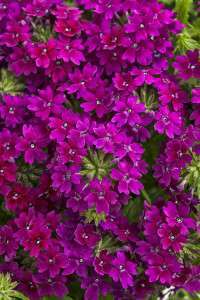 Dark Knight – has masses of purple and lavender flowers on mounding plants that are heat and drought tolerant. 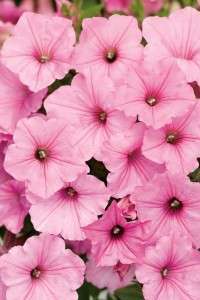 The flowers are fragrant and will keep blooming all summer. 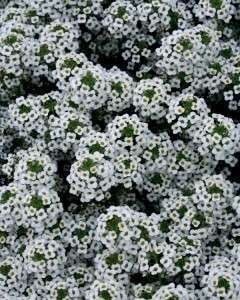 Snow Princess – Snow Princess is a vigorous lobularia that is both cold tolerant and heat tolerant. 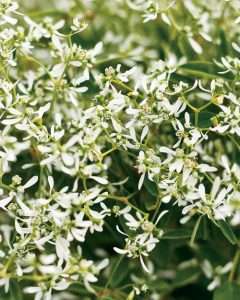 The fragrant flowers are self-pruning. Snow Princess does best in containers either alone (monoculture) or in combinations with other vigorous plants, but also performs well in landscapes. Sunsatia Nemesia’s bright, bold colors make it a great choice for spring containers. 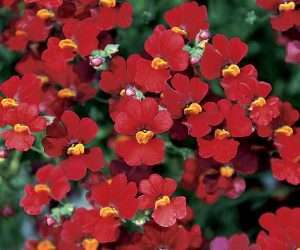 Sunsatia is more heat tolerant than other nemesias, but planting in landscapes in the south should be planned carefully to provide adequate afternoon shade and water. 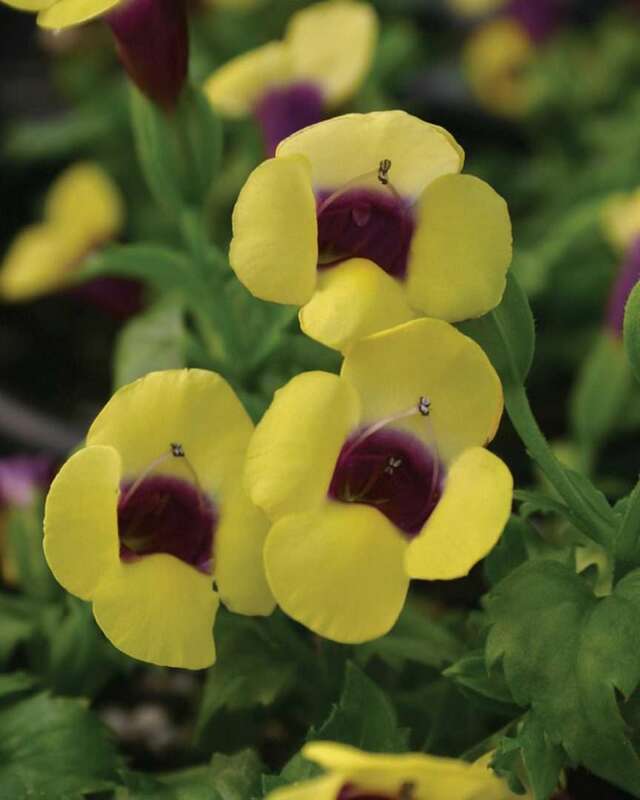 In our opinion, Sunsatia Nemesia is best suited to containers. 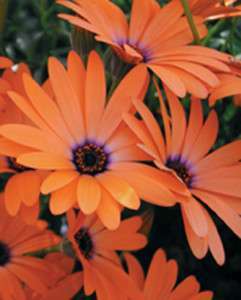 Symophony Orange Osteospermum is the best orange osteospermum available. The Symphony Osteospermums are low maintenance plants that are used on both spring and fall planting. 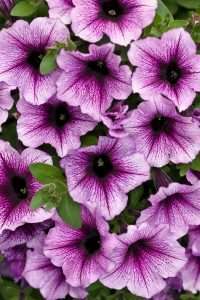 Supertunia Petunias have been bred for heat tolerance and will continue to perform in landscapes long after other petunias have succumbed to the heat and humidity. Supertunia Petunias also do well in cooler temperatures. 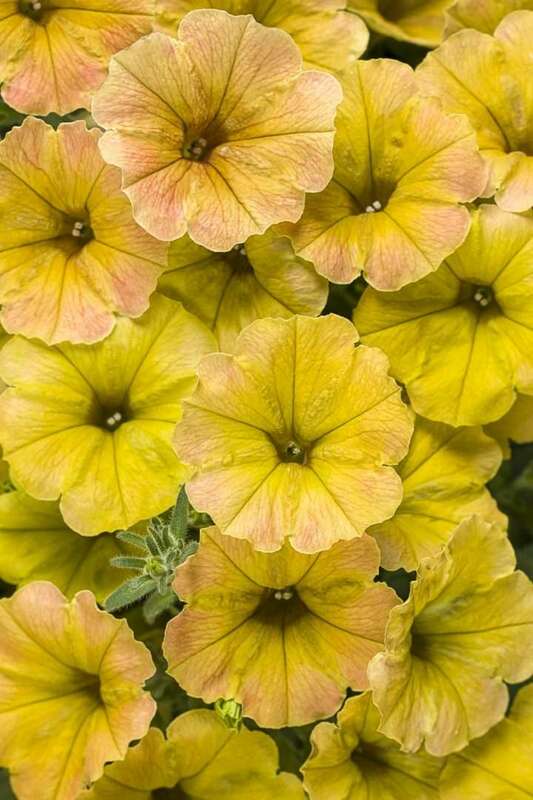 Honey – blooms are a menagerie of yellow and pink shades. 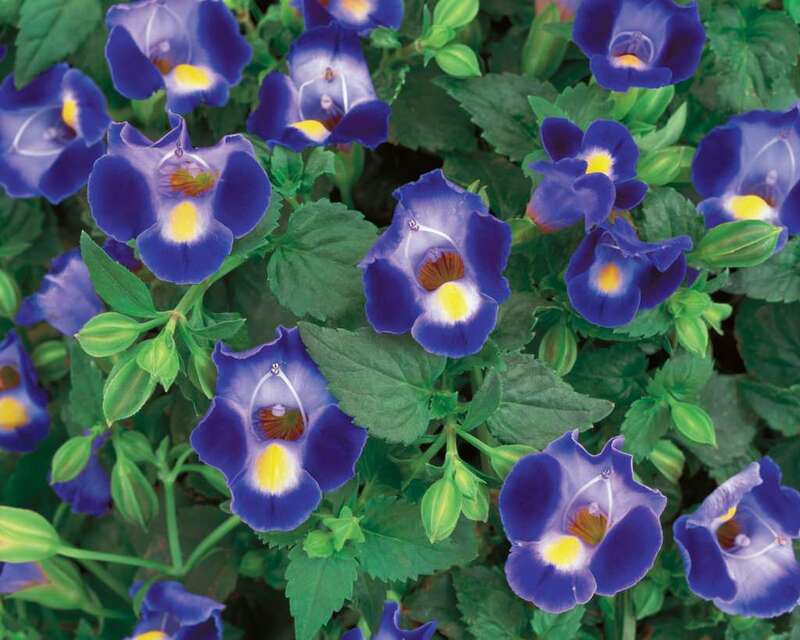 Who wouldn’t want a plant that’s so worry-free and has such vivid color? Lemon Coral shines brightly from spring through fall with its fun textured, glowing chartreuse to granny smith apple green, succulent foliage. 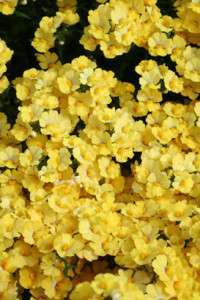 Lemon Coral plays nicely with others in containers and landscapes without being a bully and won’t wilt if you forget to water for a few days. 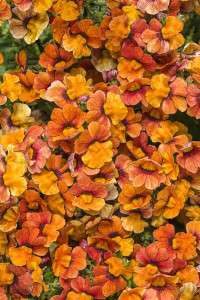 No spent flowers to deal with, no crazy growth to restrain–just plant and enjoy. If only everything in life was so simple! 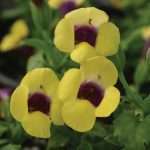 Torenia fills out containers and hanging baskets nicely. 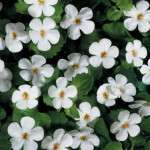 It also does well as a groundcover in shady areas. 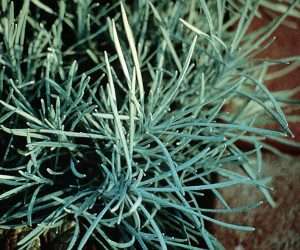 It is heat and drought tolerant and low maintenance. 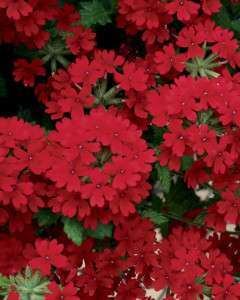 Superbena Verbena are vigorous verbenas that are also heat tolerant and mildew tolerant. 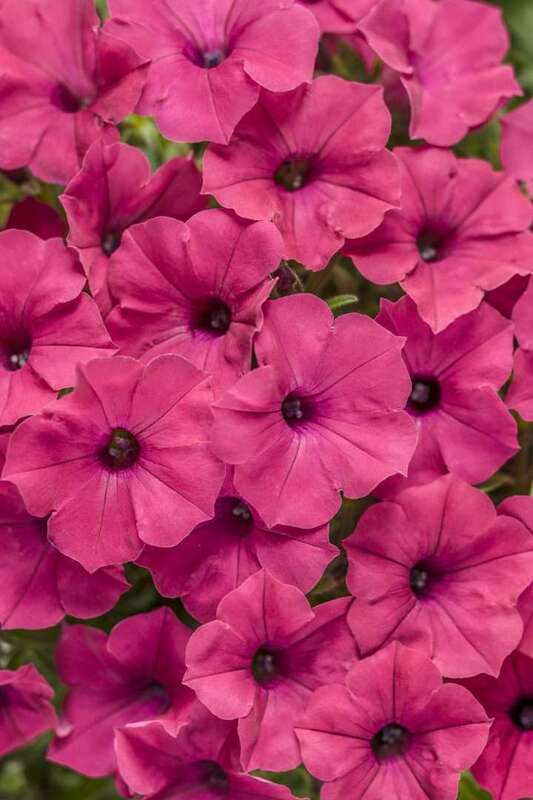 Superbena are self-cleaning so that no deadheading is necessary. 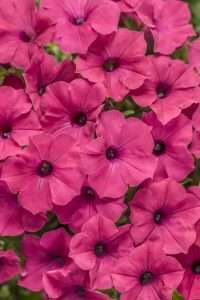 They do great in containers but preform well in landscape beds too. To top it all off, Superbena tolerate dry soils and lower fertility. 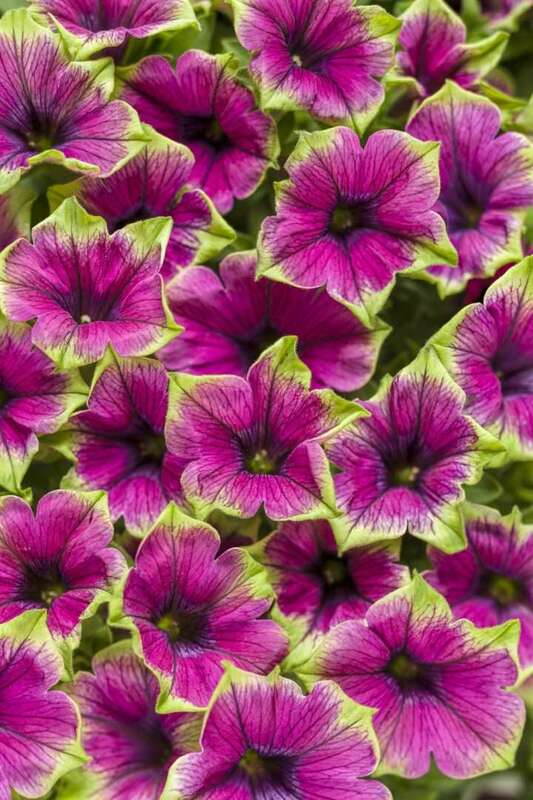 Photo Credit – Courtesy of Proven Winners – www.provenwinners.com.